R&S®CA120 is a flexible and automatic multichannel solution for detecting, classifying and processing radiocommunications signals. R&S®CA120 is a flexible and automatic multichannel solution for detecting, classifying and processing radiocommunications signals. 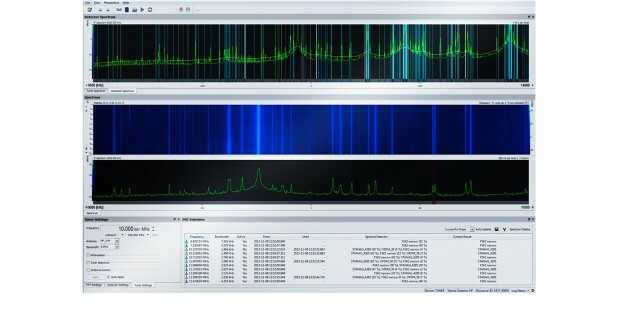 R&S®CA120 supports a wide spectrum of applications ranging from manual signal processing and analysis of an individual signal to fully automatic recognition and processing of signals in a wideband signal scenario.